Management is an art in the sense that there is considerable space for individual style and self-expression. The Manager’s personality sometimes influences how he or she manages people. Every art is result-oriented as it seeks to achieve concrete results. In the same manner, management is also directed towards accomplishment of per-determined goals. Managers use various resources like men, money, material, machinery & methods to promote growth of an organization. Art requires practical knowledge as it implies application of knowledge & skill to trying to achieve desired results, therefore learning of theory is not sufficient. It is very important to know practical application of theoretical principles. 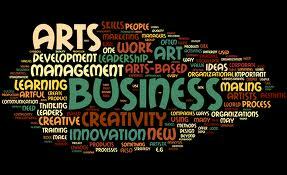 Management as an art deals with the application of skills in the process of getting things done through people and available resources. On the other hand, as a science it deals with making decisions and implementing them based on the gathering of past and present data, analysing them and the correlation of such data in order to predict future occurrence. To buttress my point, in the modern world, the budgets of various countries and organizations are made through the use of existing data which is one of the duties attached to management. Hence, in budgeting, prediction are made from past and present information which can be attributed to science. Also, all over the world, we have laboratories that are specially designed to study the behavior, attitudes and the way of life of people in order to suggest the best ways of leading, controlling and relating with them in order to achieve desired goals from them. Practical Knowledge: Every art requires practical knowledge therefore learning of theory is not sufficient. It is very important to know practical application of theoretical principles. E.g. to become a good painter, the person may not only be knowing different colour and brushes but different designs, dimensions, situations etc to use them appropriately. A manager can never be successful just by obtaining degree or diploma in management; he must have also know how to apply various principles in real situations by functioning in capacity of manager. Personal Skill: Although theoretical base may be same for every artist, but each one has his own style and approach towards his job. That is why the level of success and quality of performance differs from one person to another. E.g. there are several qualified painters but M.F. Hussain is recognized for his style. Similarly management as an art is also personalized. Every manager has his own way of managing things based on his knowledge, experience and personality, that is why some managers are known as good managers (like Aditya Birla, Rahul Bajaj) whereas others as bad. Creativity: Every artist has an element of creativity in line. That is why he aims at producing something that has never existed before which requires combination of intelligence & imagination. Management is also creative in nature like any other art. It combines human and non-human resources in useful way so as to achieve desired results. It tries to produce sweet music by combining chords in an efficient manner. Perfection through practice: Practice makes a man perfect. Every artist becomes more and more proficient through constant practice. Similarly managers learn through an art of trial and error initially but application of management principles over the years makes them perfect in the job of managing. Goal-Oriented: Every art is result oriented as it seeks to achieve concrete results. In the same manner, management is also directed towards accomplishment of pre-determined goals. Managers use various resources like men, money, material, machinery & methods to promote growth of an organization.